To see all of the Ontario RAT Model 1 Knives in stock click HERE! The RAT Model 1 is a superb design from Randall's Adventure & Training that is manufactured by Ontario Knife Co. This knife is designed for comfort and performance with an index finger groove on the handle to keep your hand where it should be and jimping on the spine of the blade for controlled cutting. The handle features textured Coyote Brown nylon 6 scales with an open-built steel linerlock frame. The AUS-8 stainless steel drop point blade has a black finish and a partially serrated edge. The RAT Model 1 is fully ambidextrous with dual thumb studs and a 4-way reversible pocket clip. 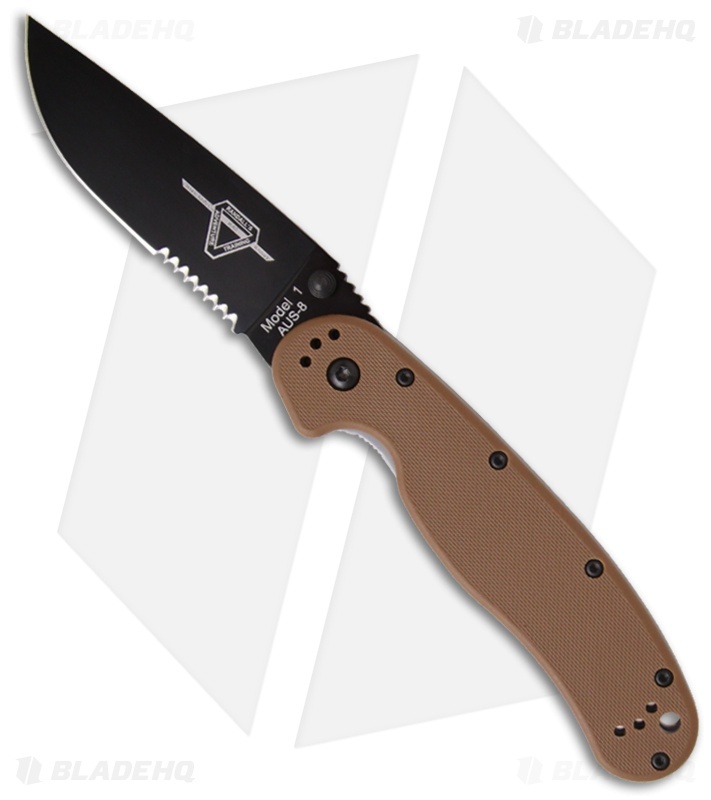 The Ontario RAT Model 1 is a strong, high-quality knife at an unbelievable price! I got thing knife as a gift for Christmas and its been in my pocket since. I'm not a big fan of the half blade/half serrated, but I've found it to be very useful. A con to this knife is that the black coating rubs off very easily, but it has a nice "beater" look to it. 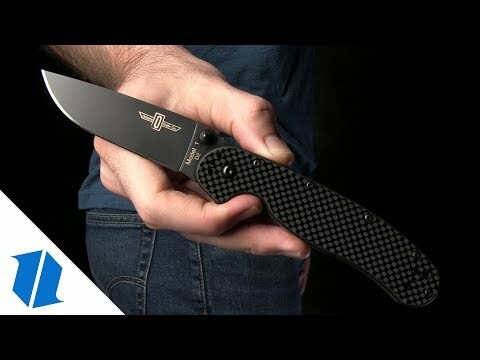 I know this knife will be in my backpack for camping trips in the future. Love this knife great as everyone has said, the only thing is that the black finish rubs off with literally anything rubbing against it in your pocket, or while cutting. 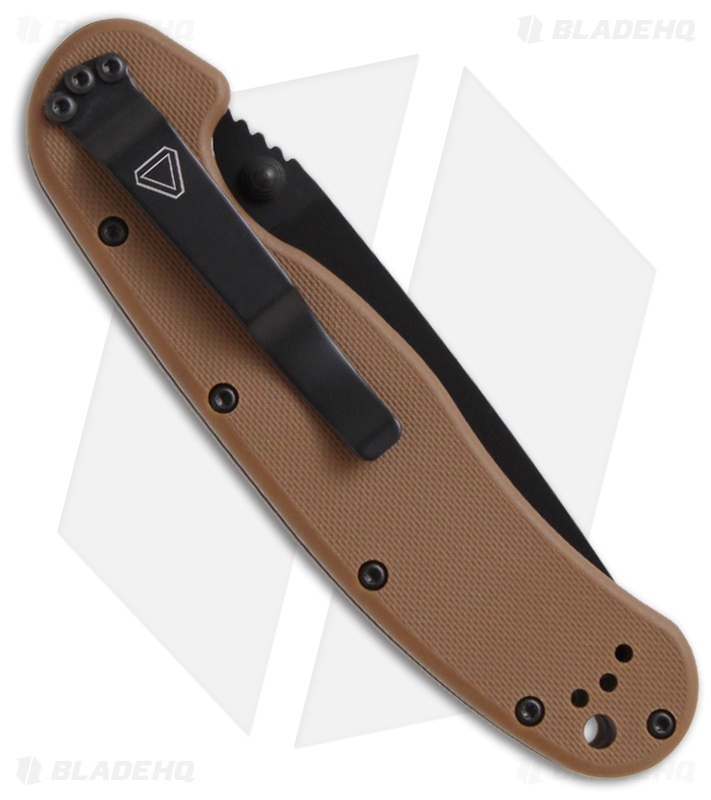 Still the best edc for the price, but I would recommend a satin finish or anything not black coated.